What do you do when the law wants you behind bars and the New York crime families want you buried? That was the life-and-death dilemma confronting Andrew DiDonato, who began his criminal career at age 14 under the watchful eyes of the local mob. By the time he was 17, the infamous Gambino family made DiDonato an associate of the Nicholas Corozzo crew. For the next 14 years, he was a loyal street soldier. But by 1996, DiDonato had run afoul of both the law and his friends, turning him into a hunted man on two fronts. 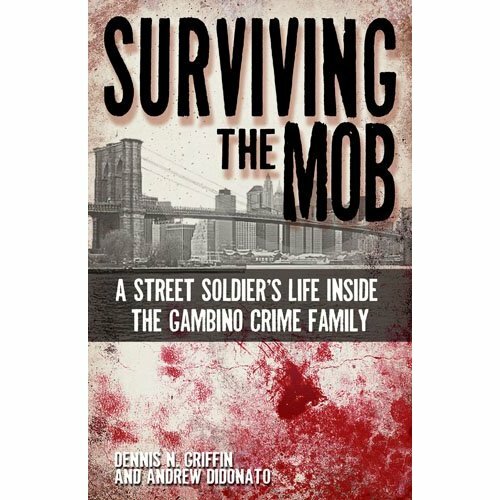 Surviving the Mob written by Dennis Griffin is a cautionary tale of the harsh reality of a criminal, inmate, fugitive, and witness who, so far, has lived to tell the tale. Joining Andrew on TRUE CRIME UNCENSORED this Saturday will be Billy C. who’s dad, Wild Bill, once took out a hit on Andrew! He was the number two guy in the Colombo crime family out of Brooklyn, New York. For those who do not know the details of such a despicable life…Mafia, Mob, organized crime…the second slot meant he was the ‘Underboss’ of the family. Come along for a wild hour with all the wiseguys, Andrew DiDonato and Billy “C” and the True Crime Uncensored resident wise guys, Burl Barer and co-host, Howard Lapides.